March 28, 2014 — In the Port of Los Angeles–which occupies 7,500 acres of land and water along 43 miles of waterfront on San Pedro Bay—is a 24,000 square foot warehouse facility run by Operation USA. Opened more than 20 years ago, today the facility is run by two longtime OpUSA Staff Members, Tony Shannon and Bruce Brinker, and serves communities here at home and around the world. 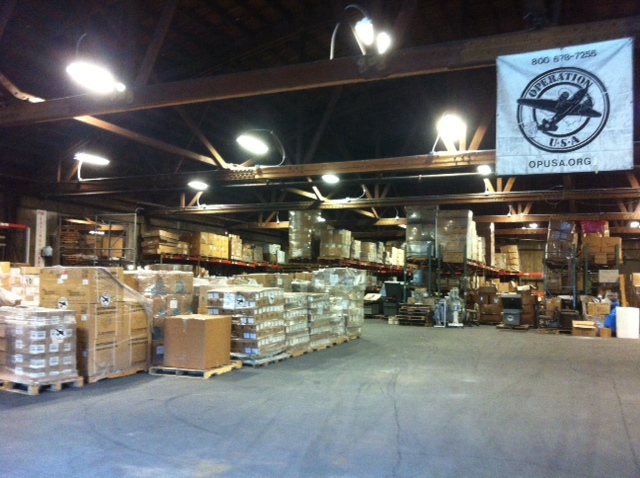 The Operation USA warehouse in Port of LA, where donated materials are stored. Tony and Bruce manage the warehouse on a day-to-day basis, facilitating the donation of in-kind materials, organizing and storing received materials, and working with partner agencies to coordinate the distribution of supplies. Though the warehouse thrives in times of disaster response, shipments go out to communities in need around the world throughout the year. In 2013, shipments leaving the warehouse surpassed $18.4 million, and were delivered to dozens of countries, including communities across the United States. A major highlight of shipping successes last year included the distribution of medical supplies and hospital machinery, donated by Kaiser-Permanente, in Sierra Leone–equipping the country’s first maternal and child health ward in the city of Kano. Other international shipments last year included hospital beds, anesthesia equipment and other essential supplies sent to Rwanda, and hospital equipment sent to the Sihanouk General Hospital (which receives annual shipments and support from Operation USA) in Phnom Penh, Cambodia. 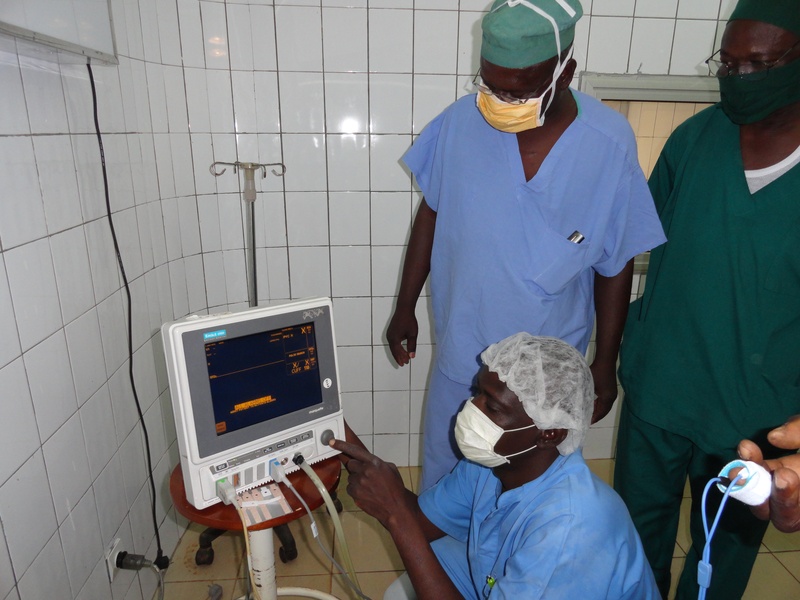 Doctors in Burkina Faso use donated medical equipment delivered by Operation USA, 2013. Domestic shipments in 2013 included relief supplies sent to partner organizations in New York and New Jersey after Hurricane Sandy devastated the Northeast, and in Oklahoma after tornadoes swept the Midwest. 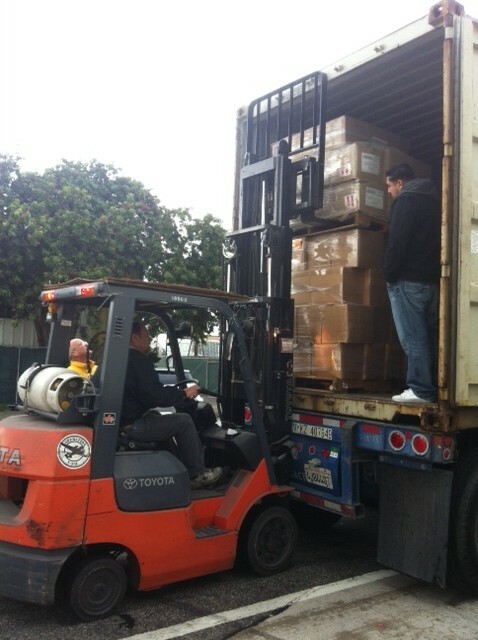 The Operation USA warehouse also continues to provide material support to clinics in California as part of our long running Clinic Supply Program. This program is a top priority, allowing local nonprofit clinics to request many supplies that they would otherwise have to purchase by taking badly needed funds from their operational budgets. Operation USA also works closely with local doctors, nurses and hospitals on foreign medical missions, providing support and materials as needed. In addition to ongoing program support, the OpUSA warehouse is poised to react quickly and efficiently when disaster strikes. During these busy times, volunteers are called in from other local agencies to help facilitate the receiving, organizing, storing and shipping of materials. Most of those materials are donated as bulk, in-kind donations from corporate partners, and can include anything from large hospital equipment and machinery to water purification supplies to diapers and baby food, among other things. The warehouse is also stocked with shelter items, first aid kits and over the counter medications for quick distribution in the face of disaster. Operation USA works consistently throughout the year to procure large donations from corporations and health care partners, and these partnerships are especially valuable when communities have been impacted by a disaster such as an earthquake, tornado, flood or typhoon. 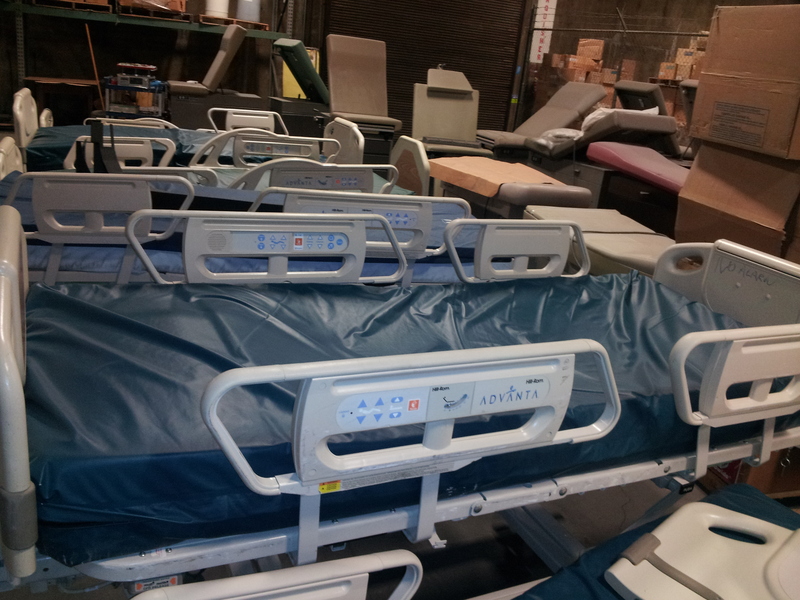 Donated medical equipment awaits distribution at the Operation USA warehouse, 2013. Once in-kind donations are received, Tony, Bruce and volunteers work to pack sea containers, trucks or planes for shipments overseas or within the United States. Often, the actual shipping process is the greatest challenge in providing much-needed relief to disaster-stricken communities. When corporate partners provide materials, and the destination is determined, OpUSA and the warehouse staff must then coordinate the donation of shipping services by truck, cargo plane or ship, or must raise the funds needed to pay for the shipments. When the general public responds to a disaster with a monetary donation, those funds can be allocated directly to “getting it there” and ensuring that a shipment can get out of the warehouse quickly. This type of donation plays a key role in disaster relief. Left: A truck shipment containing relief supplies for the Philippines is loaded, 2014. 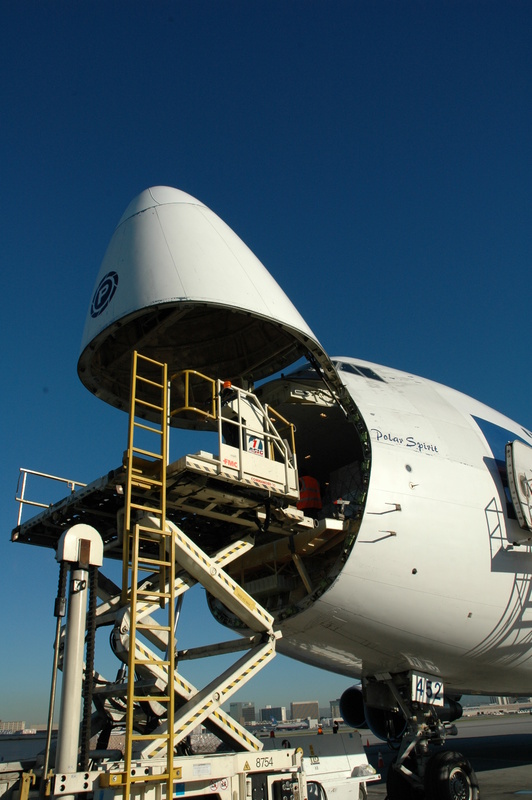 Right: An airlift shipment containing tsunami relief supplies is loaded, 2005. When you make a donation to Operation USA, your gift helps support shipping worldwide and the distribution of much-needed supplies and equipment. Operation USA accepts bulk in-kind donations from a variety of corporate and health care partners. For more information on how to get involved in our material aid program, CLICK HERE.